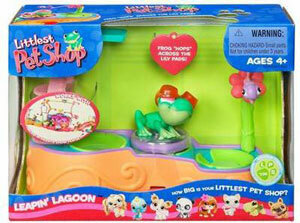 Description Of Item: This charming little frog loves to cool off in its favorite lily-pond pool! Place the frog on the inner tube on the diving board. Press the button to make it ?hop? among the lily pads!